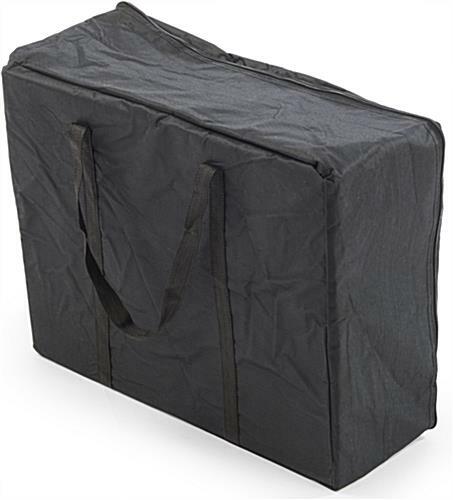 These portable literature displays feature a collapsible design and an included vinyl carrying bag. 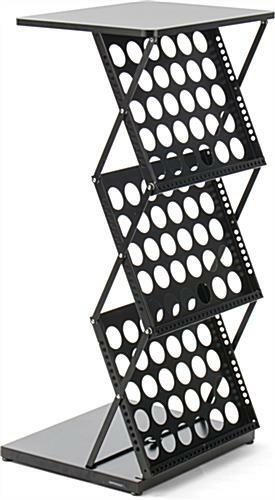 The stands have (3) double wide shelves for holding magazines. The literature displays can be brought to events like trade shows to advertise a company's merchandise and services. 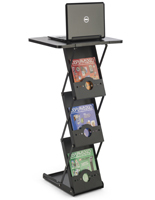 The magazine stands have a 20" wide countertop that can hold electronics or samples for passersby. 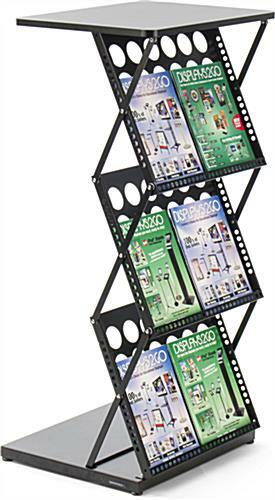 The collapsible displays are made of steel to withstand travelling to any from trade shows. 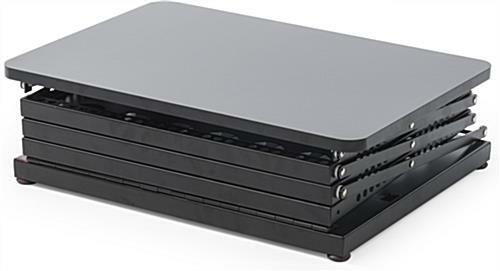 The shelf counters ship fully assembled and flat to save on shipping. 20.0" x 40.0" x 15.3"
20.0" x 6.0" x 14.5"
17.0" x 14.5" x 0.875"
18.5" x 1.3" x 15.3"
22.0" x 18.0" x 8.5"